This young blue winged kookaburra was handed into Parap Vet hospital after being found by a member of the public sitting on a bull bar of a car. The vets assessed it and was found to be quiet and underweight but had no obvious injuries. It was taken into care and had to be force fed for a couple of days. Over the period of a week the kookaburra became more and more bright and began feeding on its own. It was then moved to a larger aviary and after a couple of days begun demonstrating its flight strength. 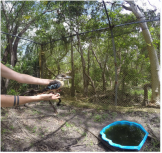 It was then moved to a larger flight aviary for a couple of days of flight time and then was released back into bushland only 500 meters from where it was found. 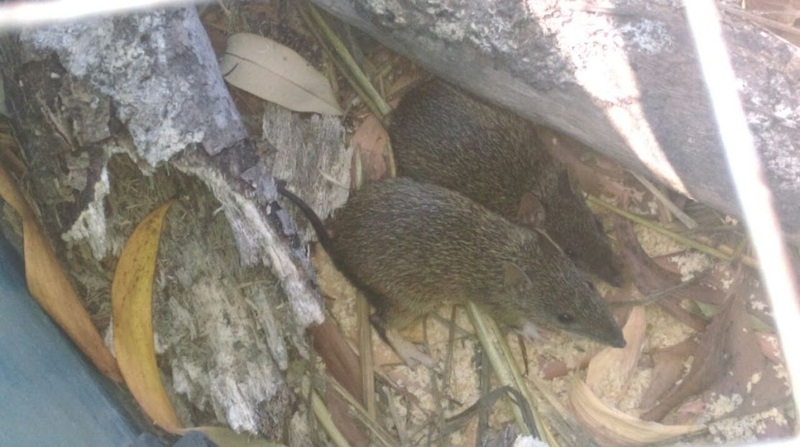 These two baby northern brown bandicoots were found next to a dead sibling, out of the burrow during daylight. One of the babies has damage to the end of its tail. It was assumed that the family had been victims of a cat attack. The two remaining young were taken into care and fed a specialised milk and insectivore mix. As they grew, insects and vegetables were fed to them and they grew up very quickly. They were moved to 3 different enclosures over 6 weeks and then they were ready for a soft release onto a property very close to where they were found. 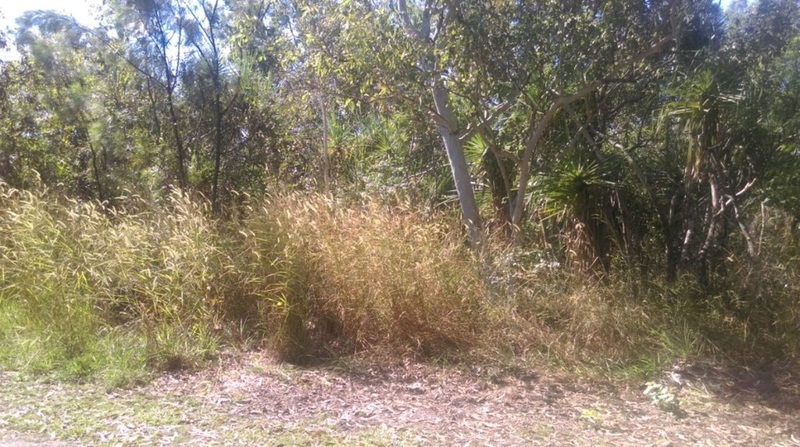 The biggest threat to bandicoots are cats and altered fire regimes. The northern brown bandicoot is fairly common in urban and rural areas of Darwin and can often be seen foraging at night. Unfortunately they often get mistaken for rats and are trapped or poisoned because of this. This is why it is so important to always identify correctly any pests that you may have around the home. There are many ways to live with native wildlife and by utilising the resources available to home owners there is no reason that these beautiful little critters need to be exterminated. They are actually great to have around as they eat lots of crawling insects that we classify as pests.